The NEH is proud to support projects that engage veterans, military families, and their communities through the humanities. NEH-funded projects explore the homecoming process through conversations about relatable literature, drama, art, and history. NEH-funded projects also record veterans’ stories and preserve military artifacts for future generations. You can learn more about NEH projects that support veterans here. The NEH supported the Great Books Foundation’s collection, Standing Down: From Warrior to Civilian, and discussion program, “Talking Service.” The Foundation selected 44 works of literature, ranging from Homer’s IIiad to personal accounts from service members in Iraq and Afghanistan. The excerpts include short stories, nonfiction, poetry, essays, and memoirs that speak to those who have served and ameliorate the difficult transition into civilian life (more information here). The NEH supports 56 state humanities councils, including the Missouri Humanities Council, which accumulated creative writing submissions from veterans across the country. 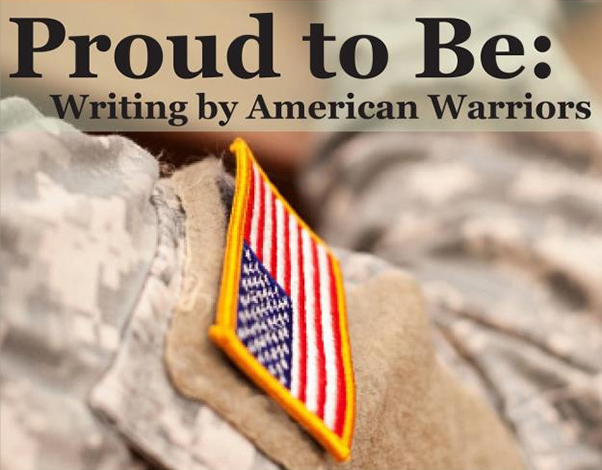 They will release their second edition of Proud to Be: Writing By American Warriors this month (more information here). The Minnesota Humanities Center is hosting a luncheon honoring their Veterans’ Voices Awardees. The Veterans’ Voices Award highlights veterans who have made exceptional contributions to the community. The Center also sponsors “The Veterans Play Project” which will have performances from November 15th to 24th at the Base Camp on the grounds of Fort Snelling. Learn more about both of these programs here. Kansas Humanities Council funded the Gray County Korean War Veterans Oral History Project, which will conduct oral history interviews with Korean War vets in Cimarron, Kansas. One of the Maine Humanities Councils’ Local&Legendary: Maine in the Civil War groups plans to host a special program for veterans. Texas Veterans’ Voices and Humanities Texas cordially invite veterans, their loved ones, and the public to participate in group readings of classical texts at the Byrne-Reed House on Veterans Day, Monday, November 11 from 7:00 p.m. to 9:00 p.m. Readings will include excerpts from Ajax, Herakles, and The Odyssey. Learn more here. We look forward to the 2014 release of the feature-length documentary, Journey to Normal: Women of War Come Home. The documentary will follow the journeys of female soldiers as they transition from the frontlines to life after military service. Watch the trailer and learn more on the film’s website. Aquila Theatre’s public program, YouStories: Classics, Conversation, Connection, will explore the ways classical Greek and Roman drama continue to resonate today for veteran and public audiences. 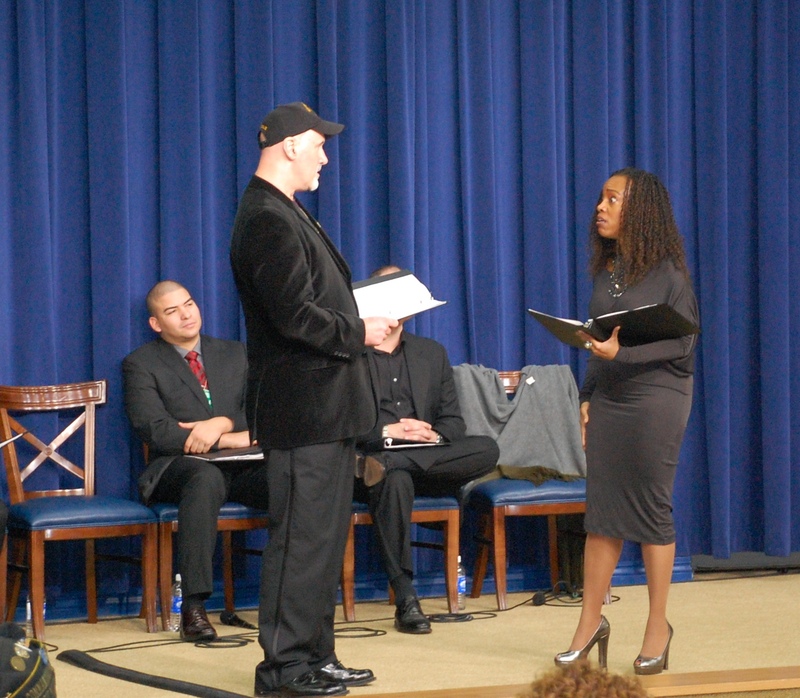 The program includes scholar-led reading/performance and discussion programs in 20 locations, a website, and a mobile app, all of which encourage veterans to share their stories.